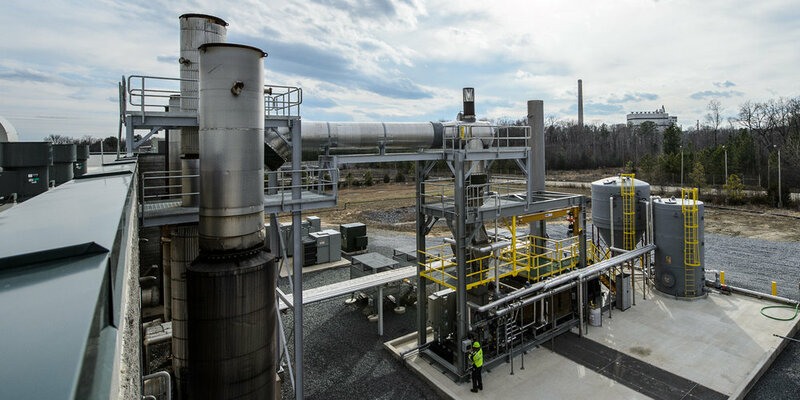 A 600+ acre municipal solid waste (MSW) landfill in Virginia generates approximately 90,000 gallons per day (GPD) of landfill leachate requiring appropriate treatment and/or disposal. The site is equipped with a landfill gas collection and control system (GCCS) and compli­mentary landfill gas-to-energy recovery system including four Solar Centaur 40 combustion turbines. WM new air permit will allow processing up to 91kgpd. 27kgpd on units #1 and #2 and 37kgpd on unit #3. EREF was established to fund and direct scientific research and educational initiatives for waste management practices to benefit industry participants and the communities they serve. Stephanie will present insight on a national research project to understand the complexity of leachate management in the US. Does geographic location affect leachate volume or treatment strategies? What factors influence whether or not a landfill is allowed to discharge to a POTW? Are commonly used empirical rules of thumb (e.g. leachate generation per acre) accurate for sizing treatment processes? What technology options are available on the market to address specific treatment goals?